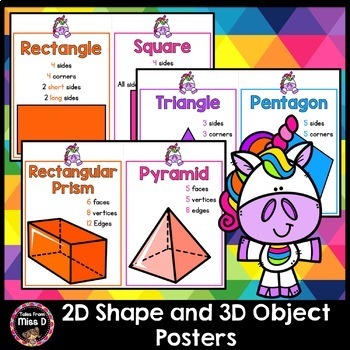 This Neon Rainbow Unicorn Shapes and Objects Posters Pack is perfect as a classroom display for each 2D shape and 3D object. 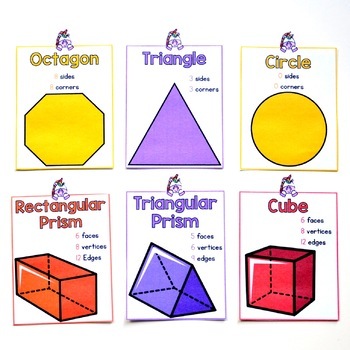 Each poster includes a picture of the shape, its written name and its features. 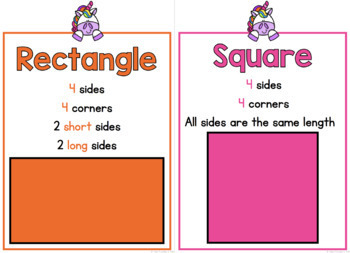 The posters can also be scaled down for student sized flash cards.